Last weekend the team put on a display at the Prescott Hill Climb, along with another 5 of the UK's top teams. Unfortunately, we could not repair our driveshafts in time to have a run up the hill, but we had a great time and had the opportunity to meet so many knowledgeable people. The team would like to thank the Bugatti Trust and Tricia Davis for inviting us and making us feel welcome over the course of the weekend. The team has just returned from Formula Student Germany at the Hockenheimring. It was the first time the team has competed in Germany and it didn't disappoint. The standard of the other teams was much higher than at Silverstone and it has provided us with valuable experience. We passed the notoriously difficult FSG scrutineering with little difficulty and performed very well in the static competitions. Unfortunately, we suffered a driveshaft failure during the endurance event, meaning that we couldn't finish every event. Despite this, we achieved our highest points total at a foreign competition and our second highest points total ever, falling just short of our performance at Silverstone this year. Our Twitter feed is now available on our home page. We will be providing live updates so that you can keep track of our performance at Formula Student Germany in the coming week. 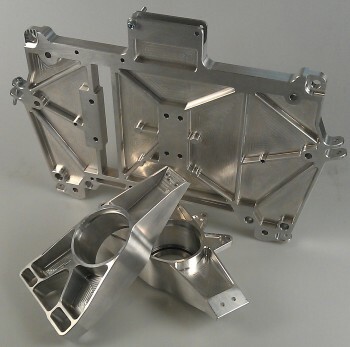 Bespoke tooling for the manufacture of simplified wishbones has been made by Surface Generation. 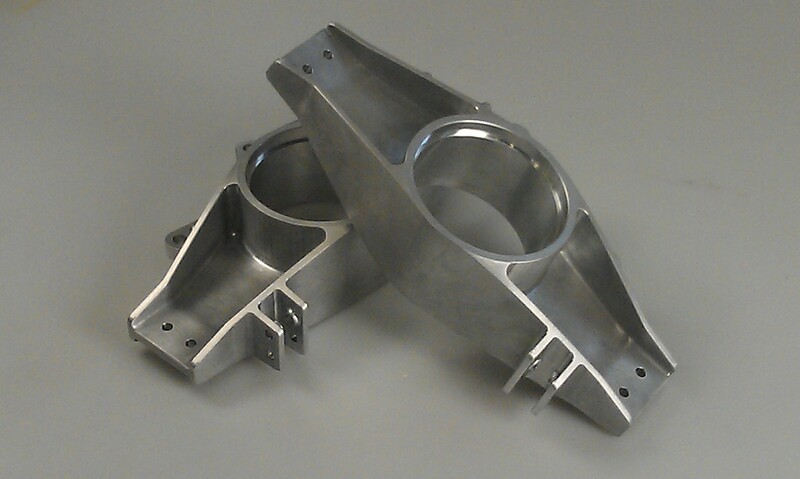 The possibility of using a simplified wishbone configuration can now be fully investigated through the manufacture of a prototype and testing. 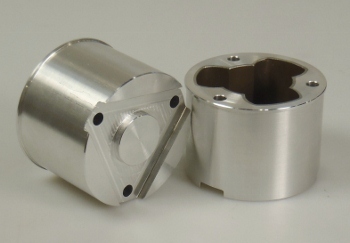 Many thanks to Surface Generation as, without this precision tooling, it would not be possible to produce these parts to the standard we desire. The team has just returned from a fantastic result at FS UK 2012! We came 18th overall, a result which included winning the business presentation. The team would like to thank all the academic and technical staff who helped us during the year and the alumni who gave us the benefit of their experience. Most of all, we would like to thank all of our sponsors. Without their support, none of this would have been possible and we look forward to working with them again in the future. Our new coated exhaust has arrived and is ready to be assembled onto the car. The team would like to thank Zircotec, for coating the exhaust, Cheesman Products Ltd, for bending the tubes, and Steve Hatton, for welding the exhaust lengths together. With thanks to Tritech and Aurora Bearings, the wishbones, push/pull rods and tie rods are finished and ready to be assembled on to ULM007. Also, the team would like to give a special thanks to A1 Powder Coating for powder coating them so quickly. The engine for this year's car has been dynamometer tested at Larton Engines. This is key to getting the best performance from our engine and improving the teams overall competition result. A big thanks to everyone at Larton Engines for their help. 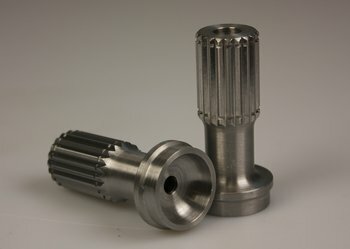 Our splined driveshaft ends have been machined by AMF Precision Engineering. The splined ends allow the torque to be transmitted from the engine to the wheels with minimal losses. 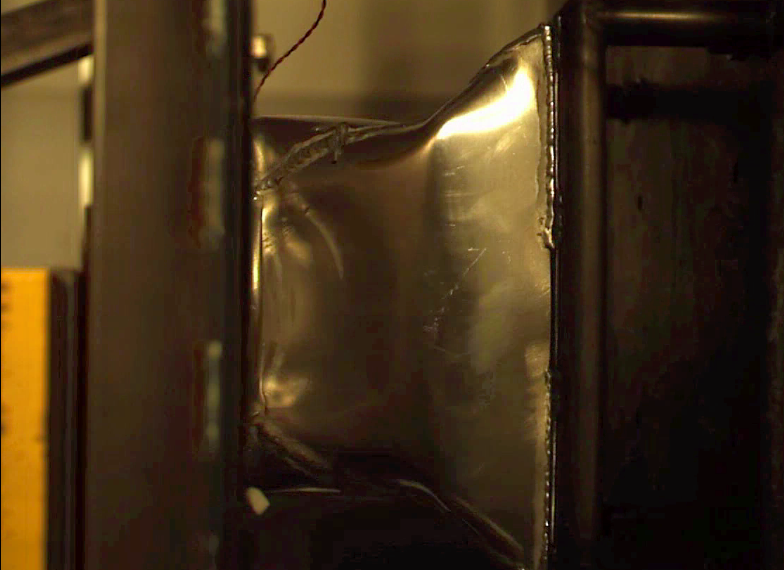 You can watch a video of these parts being manufactured on the media page, or, alternatively, on YouTube. The team would like to thank AMF Precision Engineering for their assistance in getting these components produced. Our wishbone ends have been investment cast by Tritech. After being cast from the wax patterns, the ends just need some final finishing processes and they are ready to be assembled. A big thanks to Tritech for their help in making this happen. 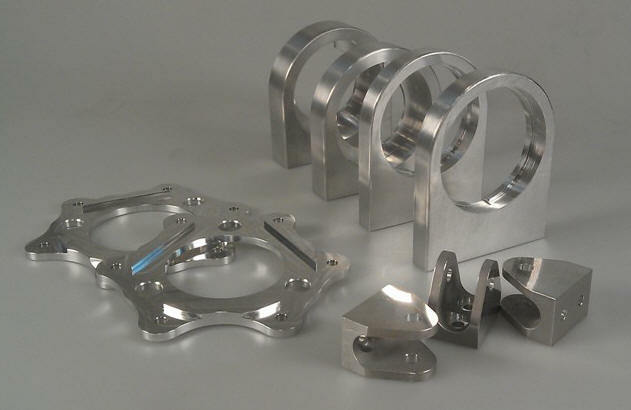 We cannot thank AMF Precision Engineering enough for producing these components for us. They have produced (in record time) both Torsen and Quaife differential mounts, top mounts for the uprights. 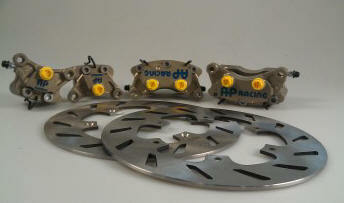 And finally the brake disc centres! All this work has accelerated the progress on the car and we are on track to a rolling chassis. Thank you to AMF Precision Engineering for all their help and expertise. Surface Generation have completed our brand new wheel centres! The first time ULM have run student designed wheel centres, the team are really looking forward to seeing these components in action. A big thanks to Surface Generation for their invaluable sponsorship and expertise in manufacturing these parts. ULM welcomes Anodisers Runcorn to the team, with their valued sponsorship support which makes this project possible. The hard anodising protects the delicate threads on the stub axle nuts but also looks the part! Thank you again to Anodisers Runcorn. A big thank you to Senar Engineering for taking on the manufacture of these parts at the last minute and producing them in record time! This year's rear plate is 26% larger than last year's but 11% lighter. 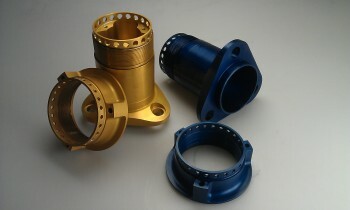 The design has high precision finish provided by Senar Engineering. 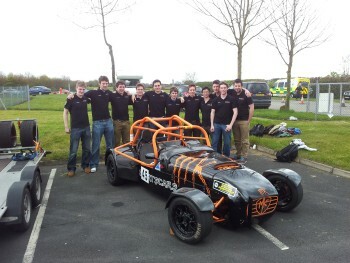 The team recently visited Liverpool Motor Club's sprint event at the Aintree race track. These events allow us to meet other motorsport enthusiasts and to see other racing cars close up. The LMC and Aintree are valued supporters of the team and we look forward to working more closely with them in future. The inboard CV joints are here! A massive thanks to Kevin and Peter in the physics department for their invaluable expertise in getting the sleeves manufactured. These light weight aluminium joints are the first part of our brand new ULM007 drive train. The University of Liverpool's fabricator, Thomas Evans, has retired from work. Affectionately known as ‘Tommy’ by the team, his skills, experience and gift for teaching will be sorely missed and we wish him the best with whatever he plans to do next. Our gear changer has been produced by Selective Laser Melting. Using this method, the complex structures needed in the gear changer, which would usually be cast, can be produced with ease. The team would like to thank Renishaw for their help in producing these parts. 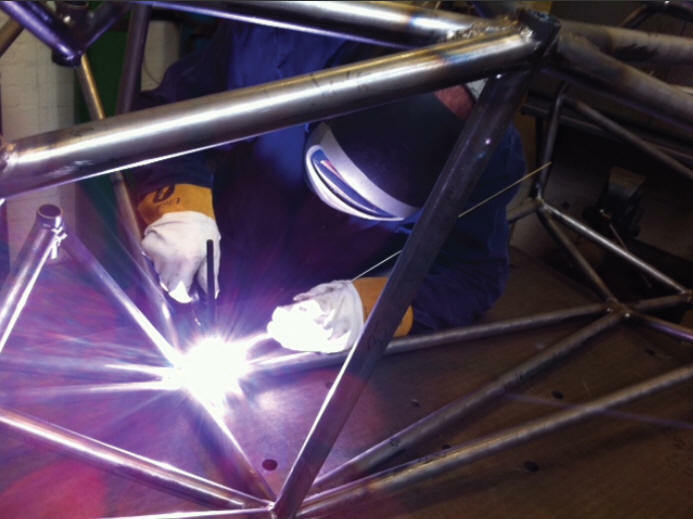 All of our frame brackets have been precision laser cut, delivered and are being welded on to the frame. The team would like to say thanks to our newest sponsor 5750 Components for their support and quick delivery. Our unsprung is really coming together now with the arrival of our new front uprights! A big thanks to Senar Engineering for their help in getting these made. Our brand new brakes have arrived! 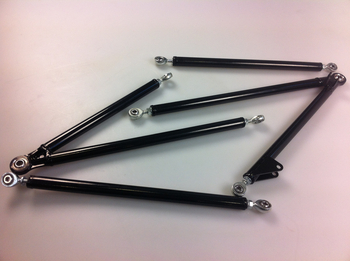 This is the first part of our completely redesigned unsprung suspension for the 2012 competition. A big thanks to AP Racing for their support. 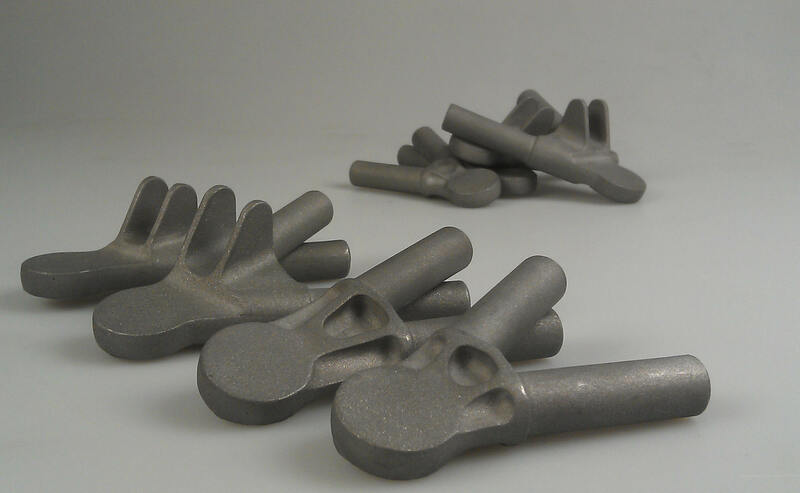 We have recently taken delivery of the wax patterns for our wishbone ends from Renishaw. These will now be sent for casting at Tritech. The team would like to thank both of them for all of their help. 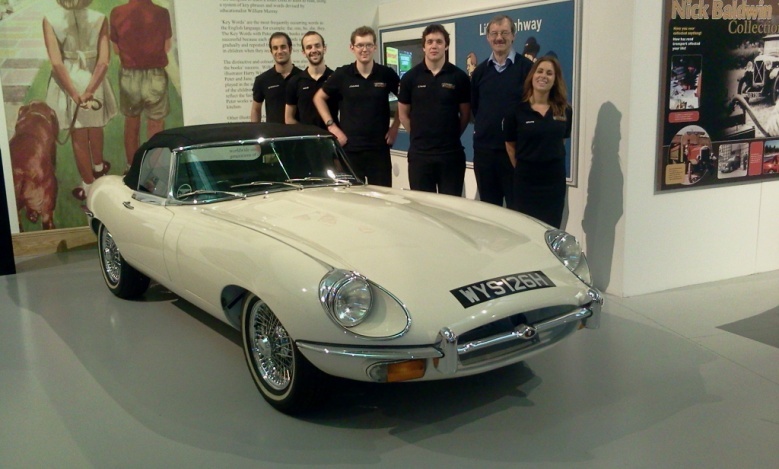 The team recently had a visit from Formula Student design judge John Eldridge. The team is incredibly grateful for the interest he has taken in us and the time he has committed to helping the team. 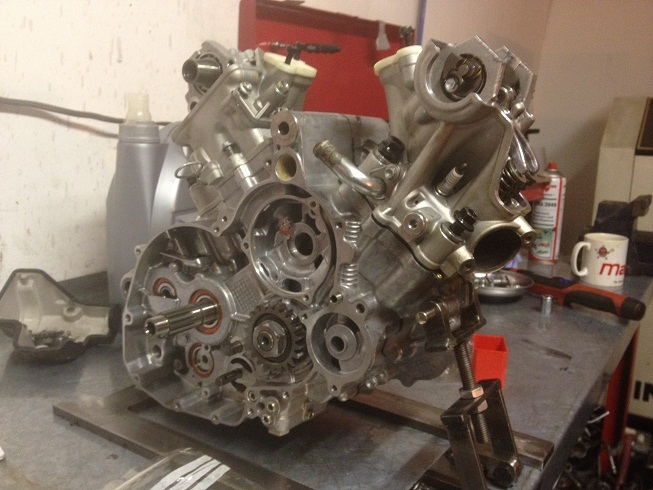 The new custom Torsen differential housing is underway. This innovative design consisting of an aluminium body and sleeve will save around 60% in weight over the Quaife differential previously used by the team. A big thanks to Argyle Engineering for making this happen so quickly. The video from our dynamic impact attenuator testing is now on our media page. You can also find it on the team's new YouTube channel. We have completed dynamic testing on our impact attenuator designs, a requirement for all teams attending the competition in Germany. The testing was very successful and has allowed us to choose our final design. The team would like to thank the people at TRL for their help and for the use of their facilities. A video of the testing will be following soon. We now have the new 13 inch rims to go with our new tyres. In addition to the tyres we took delivery of last week, we are just waiting on our custom wheel centres and our wheels will be complete. 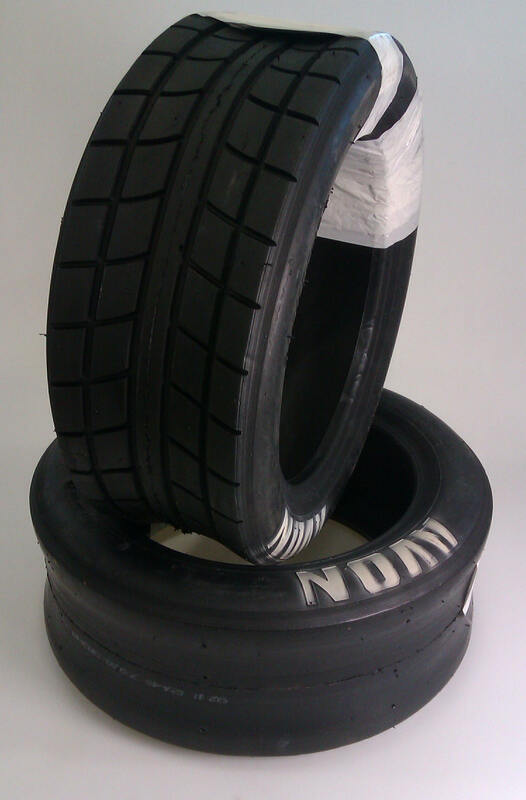 Our tyres for the 2012 competitions have arrived! This year sees the team moving to Avon's Formula Student tyre in a bid to improve on last year's result. For more information about Avon, visit our sponsors page. In more news, Emkay Plastics have featured us on their website. Emkay Plastics have generously supplied us with foam to be used as an impact attenuator. Following yesterday's testing, a new, hollow foam impact attenuator has been quasi-statically tested. Improved designs are currently being manufactured for dynamic testing in the coming weeks. 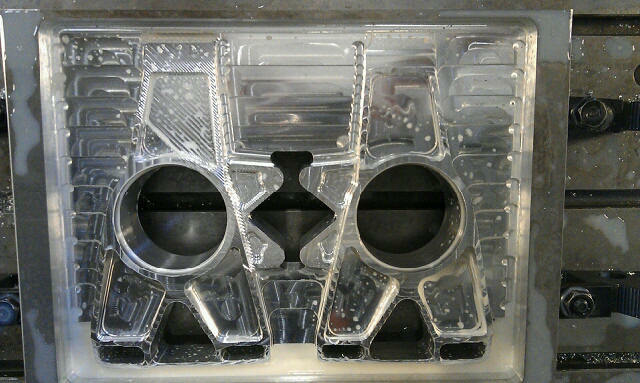 A new sheet aluminium impact attenuator design was quasi-static tested to ensure the design was suitable, improved designs are currently being manufactured for further dynamic testing in the coming weeks. 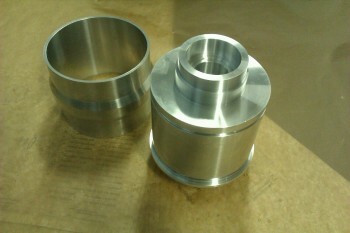 The first set of machining operations have been completed on our stub axle hubs. This year sees the team moving to an all-aluminium design with integrated tulip joints. This will reduce the weight of the car and, hopefully, improve our performance at competition. The first set of uprights have nearly been completed by the workshop. After almost a week of CNC machining, we're one step closer to having a full rolling chassis! 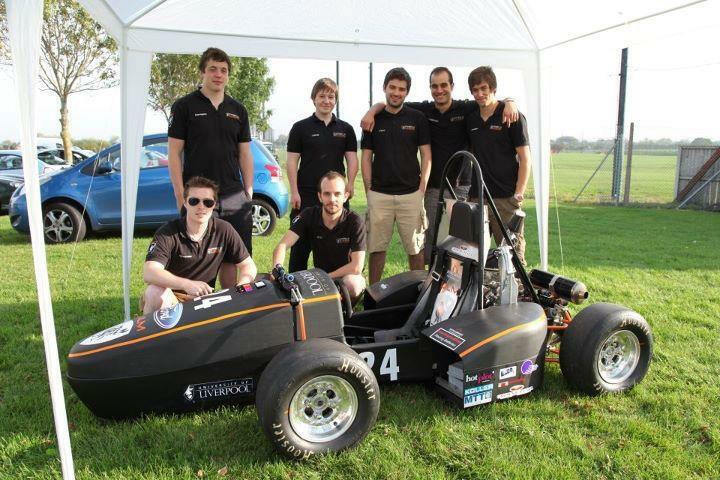 The 2012 ULM team are happy to announce their successful registration to both the UK and Germany Formula Student competitions! 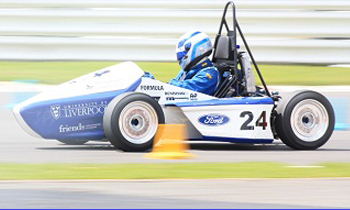 This will be the University of Liverpool's seventh FSAE formula race car to be entered into the UK competition and their first ever entry to FS Germany competition. Considered by many to be the closest thing to a Formula Student World Cup, FS Germany boasts the best and most competitive student designed race cars in the world. Along with seven other UK teams, ULM will compete at the Hockenheimring Circuit in July against 72 teams from countries including Canada, USA, China, Russia, Egypt and India. However, being a UK based team means that FSUK is still our main competition. With over 100 teams competing, the UK competition is the largest of its kind in the world and gets tougher every year. However with production of car No. 24 currently two months ahead of all previous years, the team look well set to have their most successful year ever! Disaster struck at the first dynamometer test day, at Dyno Demon a major team sponsor, and resulted in a full engine rebuild. With the invaluable help of Steve, Gemma and Luke from Dyno Demon this was completed in record time and everyone breathed a sigh of relief when the engine finally growled into life. Today was the first test day for the 2011/12 Formula Student team! The test day took place in our usual spot at Crowne Plaza in Speke. Being our first test day of the year, it gave us the chance to show the new team members how to get the car set up and running. The new members got to experience the entire process of moving the car from packing it into the van, to setting it up on the trestles. The engine started well and overall it turned out to be a successful day! The newly formed 2011/12 team had there first proper outing at the Aintree October Track day. The team has just taken on 25 new third year students and for many this was their first　experience of real life motor sport! Everyone had a great time and the experience was a fantastic ice-breaker, especially getting the chance to talk to experienced motor sport　enthusiasts. We would like to thank the Liverpool Motor Club for inviting us along, we will be sure to attend future track days!